When you decide to sell your home, you want it to sell fast. According to data from the RMLS Market Action Report, the homes that sold in the Portland Metro area in April 2014 were on the market an average of 77 days. Portland home builders understand the concerns that arise when it takes over two months to sell a home, and would like to offer the following tips to ensure that your resale goes smoothly and quickly. 1) Let there be light. When showing your home, use as much illumination as possible. Turn on every lamp, open the drapes, and clean the insides and outsides of windows. A bright home is inviting, cheery, and stays on buyer’s minds. 2) Clean the carpets and floors. It may seem obvious, but a dirty carpet can turn off any buyer. Even if you know the carpet will be replaced, showing that you care for the floors is evidence that you took proper care of the rest of the home. 3) Don’t forget storage spaces. Portland home builders know that we love to use our garages for storage in the northwest. Buyers will want to see your garage and imagine their own tools, vehicles, and assorted boxes there. Clear out the garage and be sure to pressure wash if there are any oil stains. 4) Take a good look. Stand across the street from your home and try to look at it as if you never lived there. What needs repairs? How does the lawn look? Is it time to replace the welcome mat? A first impression is important to all home buyers, so take the time to try to see your home from their perspective in order to know what’s worth spending time and money to fix. 5) No bathroom humor. Of all the places to keep it clean, the bathroom is of utmost importance. An unsightly bathroom can deter a potential buyer. Make sure any mold or mildew issues are taken care of, replace towels, and make sure it smells fresh and clean at all times. 6) Why all the staging? Most people know that they should declutter a home when it is for sale. But rearranging the furniture and storing personal photos does more than allow a buyer to check the floorboards. It makes it easier for others to see themselves in the home if their mind is not distracted by your lifetime in the home. Personal mementos and clutter can make it feel like you are still attached, and make their tour more about you than about a sale. 7) Sweat the small stuff. Do you remember the small repairs you never had a chance to get to before? Well, now is the chance for them to make a difference. Portland, Oregon home builders have seen prospective home buyers turn on every faucet, look under every sink, and flush every toilet to make sure everything is in working order. When selling a home, it’s best to do the same, then take the time to fix the tiny leaks and squeaky doors you discover. 8) Timing, timing, timing. 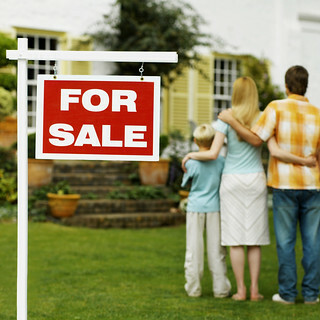 Historically, spring and summer are the best times to list your home. Few people like to move in the cold and rainy Portland fall and winter, plus holiday expenses are less of a factor. Go over the facts with your realtor, and be prepared to price yourself more competitively depending on the time of year. 9) What’s that smell? Good or bad, an odor can change the mood of a home. Pet odors or strong smelling candles and fresheners can prompt a buyer to choose another home. Rather than masking odors with stronger scents, work to rid your home of the smells that may distract, and choose natural fresheners like lavender to create a welcoming aroma. 10) Don’t get stuck. Portland home builders spend a fair amount of time with homeowners intent on selling their home at a fixed price. It’s recommended that you be willing to negotiate, and if your home has been on the market for a while, consider lowering the price or making the repairs that are keeping offers at bay. An honest conversation with your realtor may be all that is needed. Interested in everything Portland Oregon home builders have to offer? Check out our latest new modern home projects in the area.